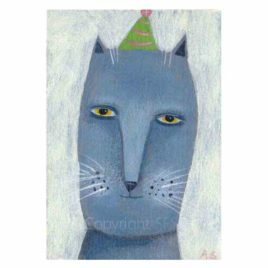 An aceo sized acrylic painting of a blue-gray cat wearing a party hat. Please scroll down for a complete description for this painting. 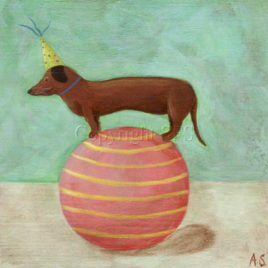 This item is an art print featuring a dachshund performing a circus trick. For full details please scroll down. 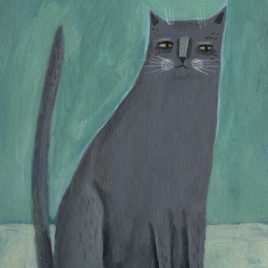 An original painting of a dark gray cat, completed with acrylics on 120 lb., acid-free paper. 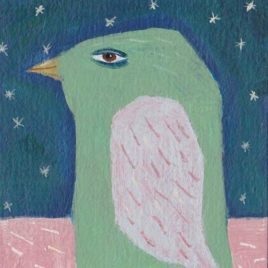 It measures 2.5 x 3.5 inches. 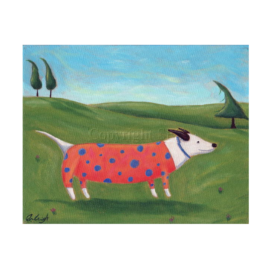 This item is an art print that features a dog wearing a sweater. For full details please scroll down below. 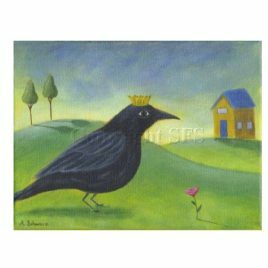 This is a whimsical art print of a crow that measures 6 x 8 inches. 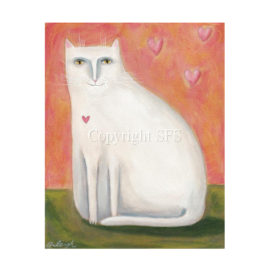 It is printed on semi-gloss photo paper with a size of 8.5 x 11 inches, leaving a white border for framing. Please scroll down for a complete description. 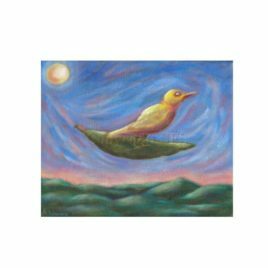 This item is a print of my original painting titled “Going with the Flow”. 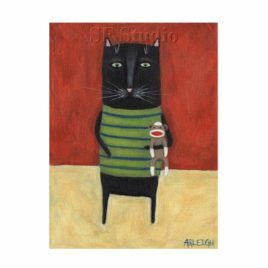 It measures 8 x 10 inches and is printed on a high quality, satin photo paper with archival inks. 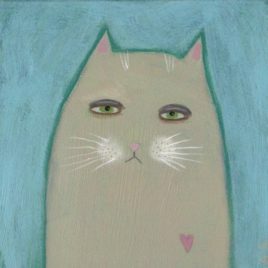 There is a white border around the image for easy framing. 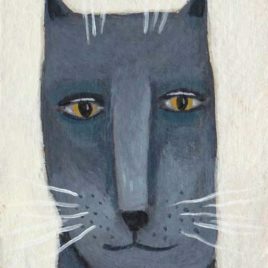 The image is very clear and picks up all of the details of the original painting. The print comes signed, titled and dated on the back of the paper. 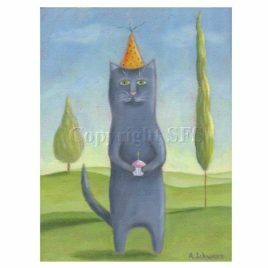 Please note that the copyright image does not appear on the actual print.